The International Test of English Proficiency, iTEP, is an innovative, Internet-based English assessment Test. iTEP is used by academic institutions, businesses, government agencies, and other organizations. iTEP scores are used for admission and placement, student and course progress assessment, employment and promotion decisions, and eligibility for scholarship and exchange programs. iTEP SLATE (Secondary Level Assessment Test of English), the exam for early high school students and young learners. Address: Education Concern(R), 67-C, Faisal Town, Lahore. Opposite Gourmet Restaurant / Near Akbar Chowk. Price of the Test: The current fee of the test is $130 (American Dollars) which is far lower than IELTS, TOEFL & PTE test charges. A real but retired/expired practice test can be purchased for $10-15 only to get the idea about the actual exam structure and to know how easy the test is as compare to IELTS, TOEFL or PTE. You can take iTEP test date with in 24hours. You can choose any time slot from 10 am to 6 pm Monday to Friday/ or till 12pm on Saturday. 4. High speed computers with broadband connections available in air conditioned lab. Duration of the test: The test is only 90 minutes long which is far shorter than other tests. Do You Want To Study in USA? 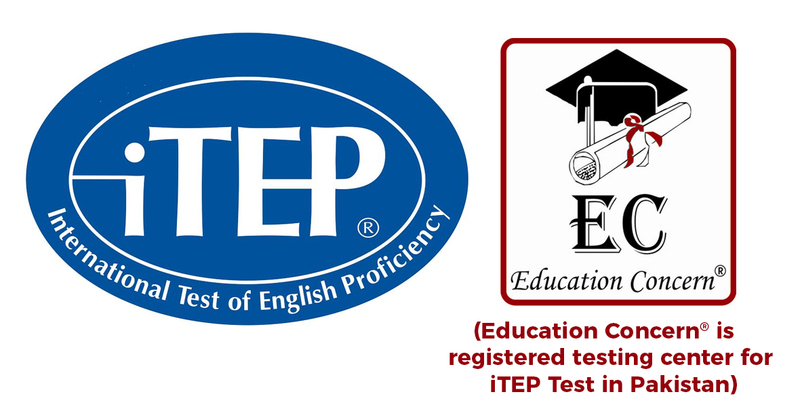 Book & Take iTEP Test Today !! !